← Peace – Hard Work – and a Little Magimagi! Within just seven months of operation, Tadrai Island Resort ~Fijihas been named in Holidays for Couples Top 25 Romance List for 2012. The list comprises of 25 properties from all over the world, ranging from glamorous urban retreats to secluded tropical escapes. “We are honoured and delighted to be featured on this prestigious list, alongside many amazing new properties” says Tadrai Island Resorts’ Managing Director, Aaron McGrath. “To be benchmarked against well established brands, within 7 months of operation, for a small, exclusive property is a huge honour. Our whole emphasis at Tadrai is on providing our guests with tailored, luxurious romantic vacations, something we will continue to provide for many years to come”. Continues Mr McGrath. Tadrai Island Resort is the ultimate luxury destination created exclusively for couples. Nestled into palm-fringed Selena Cove on the northern side of the exclusive and picturesqueManaIsland, Tadrai is a place where guests can escape to the peace and tranquility of their own private paradise. This romantic resort consists of only five elegantly designed ultra deluxe villas, so intimate and personal service is guaranteed. In fact the resort knows guests favourite foods, music, wine and even which pillow they prefer to sleep on before they even arrive. To comprise the couple-perfect top 25, Holidays for Couples pulled out both their passports and little black book of travel professionals for the inside scoop on who is living up to the romance hype. “There were many hotels and resorts that were marvellous in their own right, but if they didn’t have that special something that turns a luxury escape into a romantic luxury escape, then we had to let them go,” says editor Tanya Joslin. 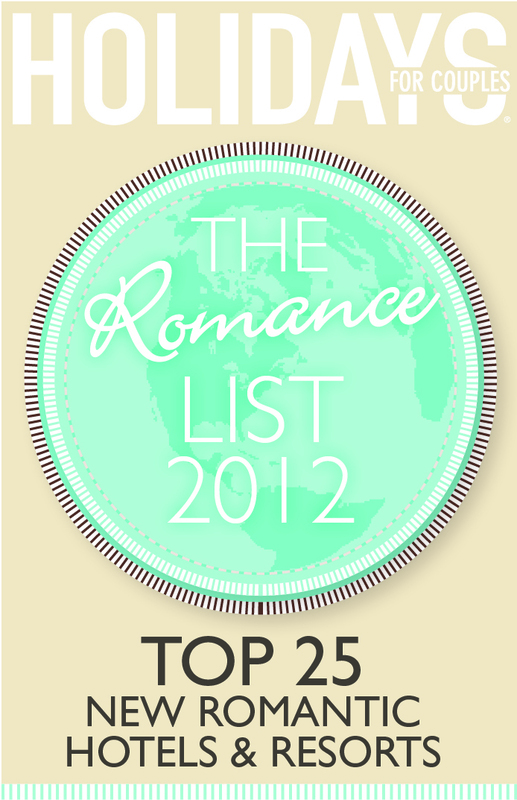 The end result is The Romance List 2012 for luxury-loving couples looking to indulge their romantic side, and honeymooners searching for an ultra-chic hideaway. This discerning collection of properties is sheer inspiration. Other resorts that featured on the list of 25 include Mandarin Oriental – Paris, The Cosmopolitan – Las Vegas and One & Only – Dubai. This entry was posted in Uncategorized and tagged Fiji, Resort, romantic vacations, Tadrai Island Resort. Bookmark the permalink.